Find a vacation home to rent in Acquasparta from our list of vacation rental properties. Campaya has over 7 vacation homes available in Acquasparta, which give you the possibility to locate a unique accommodation in Acquasparta which completes your check-list in search for the perfect self catering vacation apartments in Acquasparta or vacation villas in Acquasparta. Beautiful, touristic complex in the small village of Macarino, surrounded by the greenery of the Umbrian landscape and with beautiful view over the valley and the woods. Farmhouse that has been completely renovated, set on the side of a hill (600 m a.s.l.). Pretty view of the surrounding countryside with the castle of Montalbano in the background. Large traditional country cottage with pool, in the surroundings of Todi (25 Km), in a panoramic position on the hills in central Umbria. 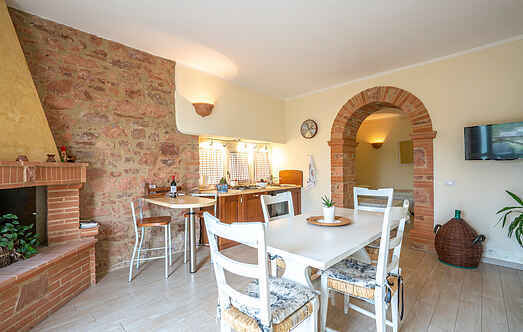 Ground floor apartment in a two-family house set in the rolling hills near Acquasparta. The pool and garden are shared with the owners who live upstairs.